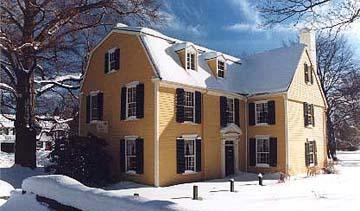 Hale built this house in 1694 and lived here until his death on 15 May 1700. A graduate of Harvard College in 1657, Hale became minister of the First Church in Beverly in 1665, a position he held for over thirty years. In 1692, he was one of the three North Shore ministers who ardently supported the witch hunt. When his own wife, Sarah, was accused he found reason to change his opinion. In this house in 1697 he wrote his brief history of the Salem tragedy entitled A Modest Enquiry into the Nature of Witchcraft. The house is open to the public. There is an admission charge.